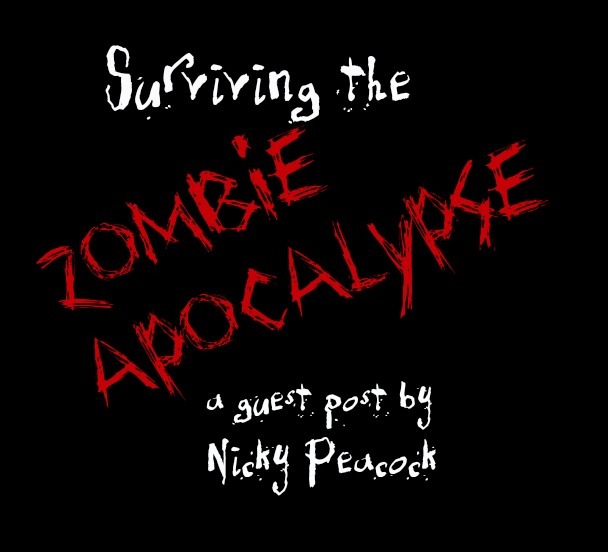 Nicky is the author of the YA thriller, Bad Blood, which is a book concerning zombies. We all know that end-of-the-world stories are exciting (State of Emergency, anyone? ), and Nicky graciously created a fun guest post for us today about how to survive a zombie apocalypse. I would personally recommend that you find a fast car, a lot of food, and a big pile of ammunition. Zombies aren't friendly types, you know. It wasn’t that long ago that the BBC (In the UK) put out a fake report that Swine Flu was turning its victims into real-life zombies. It scared a lot of people and when you look into the potential spread of Swine Flu, it kind of mimics how a zombie virus would hit us – so not as farfetched as you’d think. We have a fascination with zombies, in my opinion they are the more realistic monster lurking in the horror aisles of your local book shop. They are us. They could happen. Vampires, werewolves – well, as Disney put it ‘It’s a small world after all’ so we’d know about them already. In a time when people post what they had for breakfast on FaceBook, these creatures couldn’t hide for long. But zombies …there are more dead bodies crammed into the earth than live ones walking on it. So how could it happen? Mostly in zombie stories the survivors rarely find out how they ended up nose to nose with re-animated flesh-munching corpses; they’re far too busy trying to stay alive than to discover the undead root of the problem. To me, the most believable way of this happening is through a scientifically created disease, perhaps something similar to rabies. Okay, so it’s happening, the dead are rising. In theory this wouldn’t be an instant issue, it would probably take 2 or 3 days for the undead crap to really hit the fan. In that time you’d see more violent news reports than usual. There would be odd # threads on twitter about attacks and infection. They’d be YouTube videos popping up with alarmingly regularity featuring police show-downs with crazed, bullet proof psychos. It would be a slow but steady stream of bloody violence. Now, if hunky British survivalist Bear Grylls has taught us anything, it’s that to survive in a harsh environment we need to ensure we have three things: food, water and shelter. 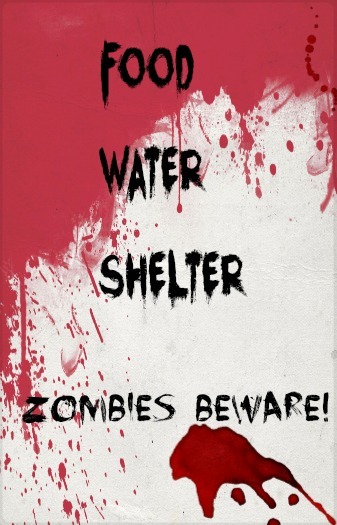 You need to be fed and rested to be able to keep one step ahead of the zombie hordes so, to survive, your first priority would be to find a safe place to hole up, preferably which contains food and water too. We’ve all seen the potential trolley of problems with picking a shopping centre for this – it’s too big, you can’t defend it. So somewhere like a small supermarket that’s doors could be barricaded, would work well. So, you have a group of people you can trust, you’re holed up in a defendable, solid building stuffed with food and drink – now what? Well, to be honest, you wait it out. When comparing a zombie outbreak to a disease of similar ilk, it would all be over after 21 days. After that time, those who were infected will have eaten their whole available food source, they’ll start to starve and, even zombies need food to keep going. After hearing the last animated corpse scratch and moan at your door, you give it another day before emerging. Then with other sensible survivors start to rebuild, and I guess figure out how it all went horribly wrong in the first place. Just, remember the rules that horror movies have taught us over the years: Don’t open the door for anything/ anyone. Slug anyone who looks like they’re going to panic and rip out through your barricade. Ration the amount of sugary items you consume (Although I truly believe that you can never eat enough chocolate). Always carry a weapon. Check your buddies for infection. And always, always... hang on there’s a new #infection tag on Twitter...Right I’m off down the supermarket; you can join me if you like, but make sure you get there before I barricade the door! 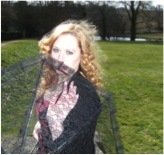 Nicky is an English author living in the UK. She writes both YA and adult horror and paranormal Romance. 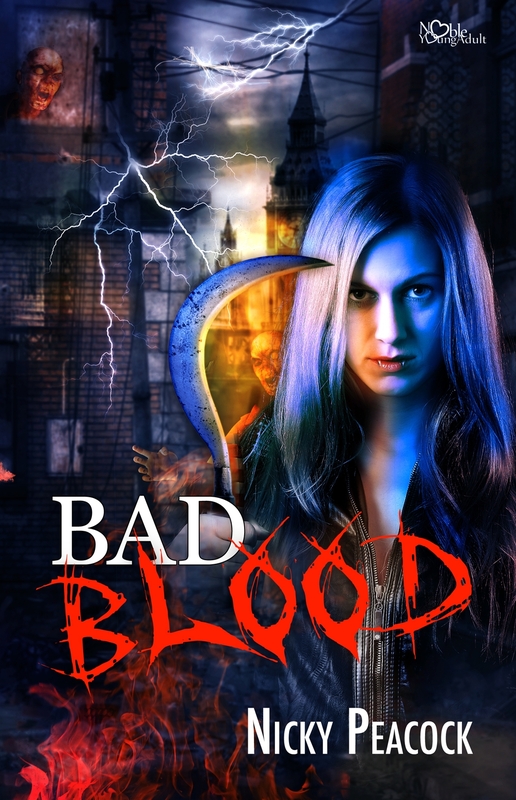 Her new book, Bad Blood is a vampires VS zombies YA horror published through Noble Romance Publishing’s YA imprint Noble & Young. She also has over 30 stories published in horror and paranormal romance anthologies available to buy now. A five-hundred-year-old bloody game of vengeance will need to be put on hold if vampires are to survive the zombie uprising. Britannia and Nicholas, bitter enemies and the only two surviving vampires left in London, have to work together to save un-infected humans and deliver them safely to a vampire stronghold in the Scottish Highlands. Unable to drink the zombie "bad blood," the remaining vampires need the humans to stay alive. But will the vampires tell the survivors who they are and what they want from them? Will Britannia be able to hold back her vengeance for the greater good? Is survivor Josh the reincarnation of Britannia's murdered true love? And can she bring herself to deliver him to the "safe" hold? This book sounds really cool. Kindle?